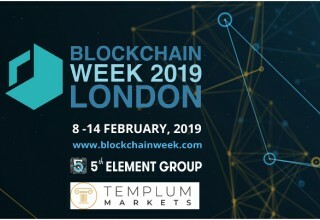 LONDON, February 9, 2019	(Newswire.com) - 5th Element Group PBC is excited to announce that it will be joining Templum Markets as Co-Title Sponsors for Fintech Worldwide’s fifth annual Blockchain Conference and third annual Blockchain Week in London on February 8 to 14, 2019. 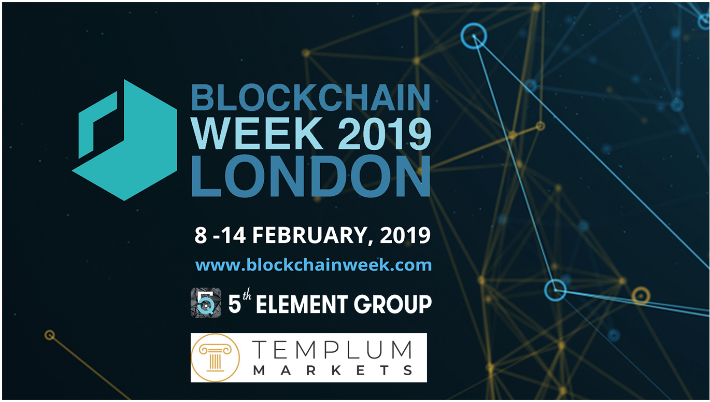 The event brings together leading blockchain thinkers throughout the week, comprising leaders from enterprise, government, academia, venture capital firms and media. Executives from 5th Element and Templum will be giving keynote addresses. This year’s week-long conference anticipates around 3000 participants, kicking off with the Hack The Block Blockchain Hackathon at Cocoon Networks on Friday 8 February for the weekend, culminating into a two-day exhibition and conference with networking receptions each evening starting on Monday 11 February, and then a series of Blockchain/DLT workshops on Wednesday 13 and Thursday 14 February. The exhibition and conference will be taking place at Grange Tower Bridge Hotel on 45 Prescot Street, London. Van Eerden will be delivering the keynote address on the morning of February 12 and will also be joining the Blockchain for Social Impact Panel that afternoon, alongside distinguished members of the global blockchain for good community including Lee Rowley from the UK House of Commons, Liliana Reasor, CEO of SupraFin, Alastair Marke, director-general of the Blockchain Climate Institute, and Helen Disney, founder of Unblocked Events. The panel will be moderated by Decade Of Women Quantum Impact Award recipient, Dr. Jane Thomason, CEO of Blockchain Quantum Impact and a thought leader in the blockchain for social impact space. 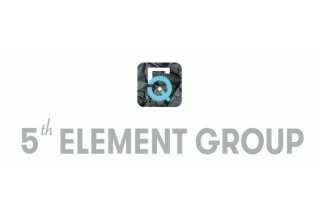 By sponsoring and participating in London Blockchain Week, 5th Element Group and its invited delegation of attendees will engage with a global audience working to leverage blockchain for good, an idea that is core to and directly aligned with 5th Element’s mission to join leaders in frontier tech and impact initiatives to accelerate the UN Sustainable Development Goals. Having delivered many industry firsts and playing an active role with global authorities to modernize securities laws and develop industry best practices, Templum is seeking to transform the efficiency of the financial markets. Templum Markets is a broker-dealer registered with the U.S. Securities Exchange Commission (SEC) and the Financial Industry Regulatory Authority (FINRA) and operates an Alternative Trading System (ATS) for the secondary trading of digitized assets that are securities. For more, visit www.templuminc.com. For more information contact Isabel Schaad at isabel@5thelement.group.